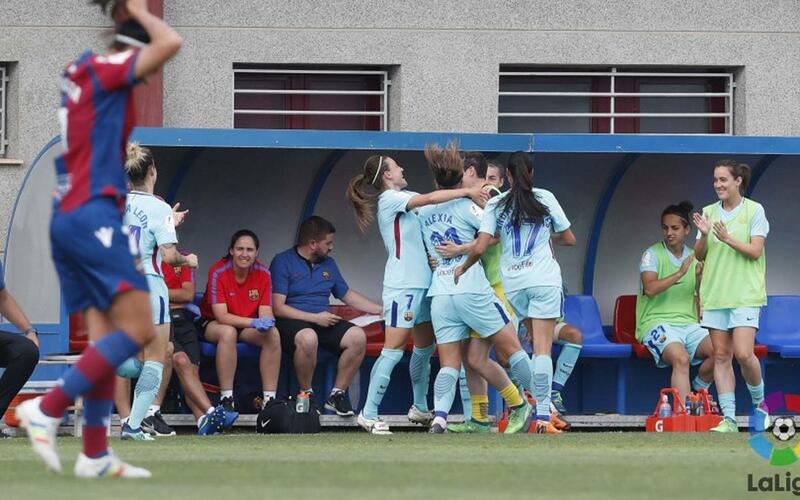 A goal by Alexia Putellas in the 82nd minute of the match gave Barça Women a very important win in the return leg of the quarterfinals of the Copa de la Reina. The Catalan, who has scored repeatedly this season, got her goal after a corner, and it was enough to knock out Levante in a very intense match. Both teams eased themselves into the game, however, Fran Sánchez’s side enjoyed the most possession and began to take the initiative. Alexia tried to beat Levante keeper, Torres, with a shot from the edge of the area, and almost immediately afterwards, Lieke Martens and Mariona Caldentey also tried their luck without success. In the second half, both sides increased the pressure with Levante having the best chance in the 61st minute, a header from Laura Gutiérrez. The game ebbed and flowed and finally, in the 82nd minute, Barça took the lead through Alexia. Her 32nd of the season allowed the visitors to take control of the game until the final whistle.